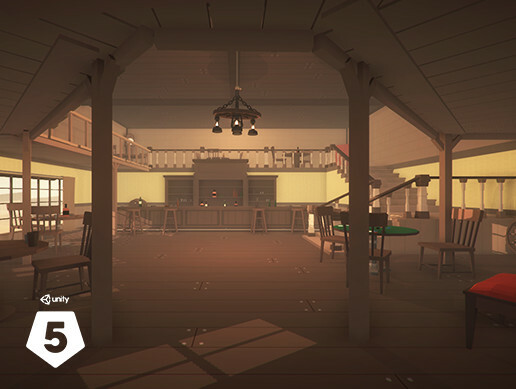 Western saloon environment, perfect for cartoon and low poly style games! Comes included with a complete demo scene, ready to use. All props share the same texture, and the main building uses two textures.